Auto Glass Warehouse has been proudly providing automotive glass replacement and repairs to all of Southwest Florida for over 25 years. We are family owned and operated. Each of our professionally trained and certified technicians is dedicated to making sure your vehicle and its structural integrity is as safe as possible with all our windshield replacements & repairs. All our technicians live in and around our service areas and are certified through the National Glass Association. Passing an NGA certification examination means that your technician has met agreed-upon industry standards for knowledge in the field of auto glass repair and replacement. If you will be placing an insurance claim for your order, we will need to place a conference call with you to your agent or company to complete the claims process. These conference calls are always quick and easy! 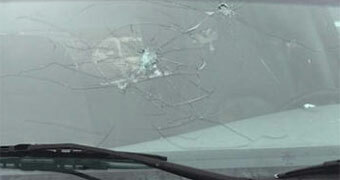 Our company is approved to file a claim for auto glass repair or replacement with any insurance company. You have the right to choose the company you prefer for any automotive glass needs. The easiest way to ensure that you get the Auto Glass Warehouse for your repair or replacement is to call our office directly, as it is possible that your agent or company may suggest using a 800 claims number for your services. If you speak to your agent or insurance company first, be sure to tell them you would like to use Auto Glass Warehouse to service your windshield replacement or repair claim, even if they suggest using the 800 claims service. Even though our company is included within the 800 claims service, there is no guarantee that you will receive service through our company as the 800 claims service randomly chooses the company to send the work order to. To get the quality service you deserve, choose your home town experts at the Auto Glass Warehouse for all your service needs. 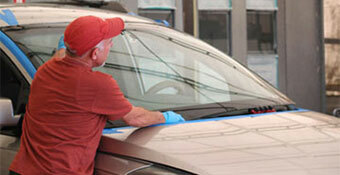 Call us today at one of our local offices to set up your appointment for your windshield repair or replacement. We will be happy to answer your call.